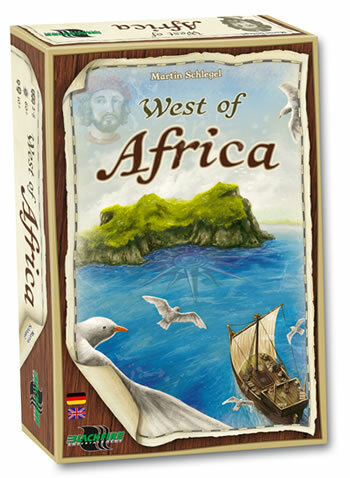 After the success of the sold-out Kraftwagen (a new edition will be released in summer 2016) Blackfire has done it again – releasing Martin Schlegel´s West of Africa, beautifully illustrated by Harald Lieske. West of Africa won the prestigious Hippodice authors' competition under its original name “Lancelotto Malocello” in 2015. Martin Schlegel, one of Germany´s most well-known gaming authors was nominated for the “Game of the Year” award in 2006 for Aqua Romana.